OK, so I didn’t win. But it was never about winning. 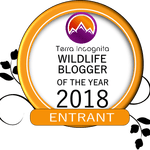 At the end of last year I entered Wildlife Blogger of the Year 2018 run by Terra Incognita with my story of an encounter with Northern Resident orca off Vancouver Island, Canada. On the last day of the year the Judge’s Choice and the Readers Choice for Wildlife Blogger of the Year were announced. The winner – a conservationist’s account of fieldwork in Borneo, starring a bag full of his own poo (yes his own poo)! But more than that it was a powerful message of hope for biodiversity in heavily degraded, yet surprisingly resilient tropical rainforests. Through his winning story Gianluca Cerullo give’s us hope. So, yeah I didn’t win. But I got something much more. I got hope. And I became part of a community of bloggers like me. 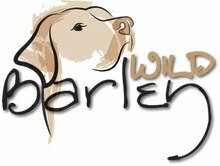 People with a passion for wildlife and for writing stories that inspire. In January 2019 I found out that the team at Terra Incognita wanted to publish my story alongside these winning stories in an eBook to celebrate some of the most memorable, entrancing and exciting wildlife moments. The Wildlife Blog Collection. And so I got something else. A dream come true. To have a piece of my writing published (and not just on my own little blog!). From the discovery of a clouded leopard in Borneo’s degraded rainforests, to an audience with an African crowned eagle and its unlucky prey in Kenya, to yes, my own personal encounter with orca in Canada. ‘We wanted to share these stories and their messages widely and to give their passionate and talented authors the recognition they deserve’ said Editor Kristi Foster from Terra Incognita. The competition and eBook was coordinated and run by Terra Incognita who believe that ecotourism can be a powerful force for good in the world. As a social enterprise it seeks to promote the best examples of ecotourism worldwide. It does this by collating lists of amazing tour providers who help conserve the environment, support local people and educate guests. ‘Having come this far – with travellers, researchers, guides, students, conservationists and others pouring their reflections on wildlife into words – how could we not help others delight in this adventure too?’ added Kristi. This amazing eBook will be available on Valentine’s Day and is available for pre-orders now! Special sale price £4.99 till 14th March (normal price £7.99). Pre-order you copy today and get your copy for Valentine’s Day. The perfect gift!